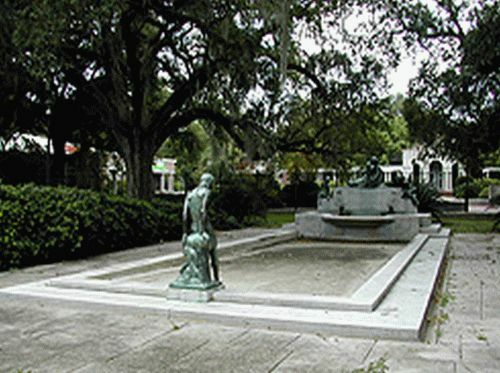 Besides leaving her considerable collection of paintings to the New Orleans Museum of Art, she bequeathed her personal jewelry collection -- valued at $30,000 in 1914 dollars, or more than half a million dollars today -- to be sold to erect two fountains, one in City park, one in Audubon. 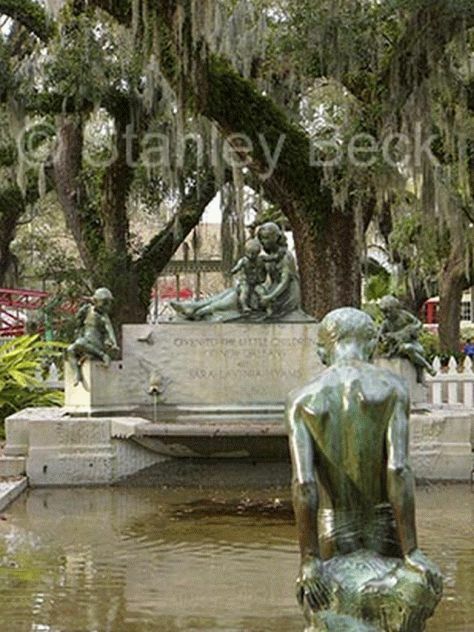 "Given to the little children of New Orleans," the fountains are inscribed. Another inscription reads, " Another part of the inscription says "By bequest Mrs. Chapman H. Hyams left her jewels to Audubon and City Parks, the proceeds of which were to build a testimonial of her love for her home city. 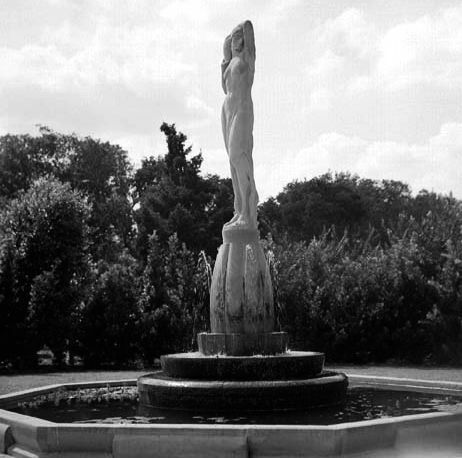 This fountain was erected March 1921 in a faithful endeavor to realize her wishes. 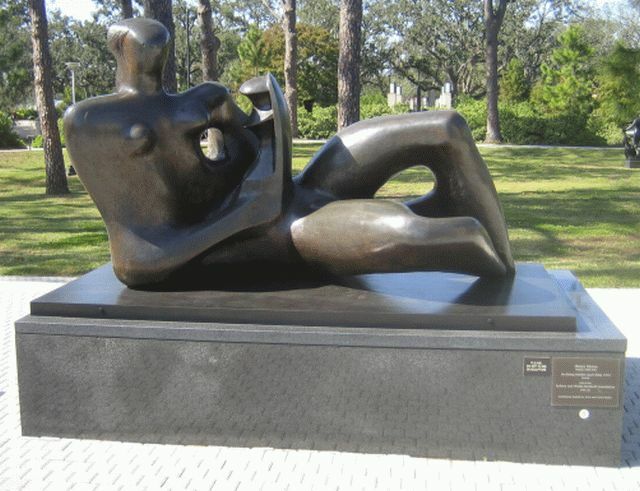 She loved the beautiful and gave that all might enjoy." 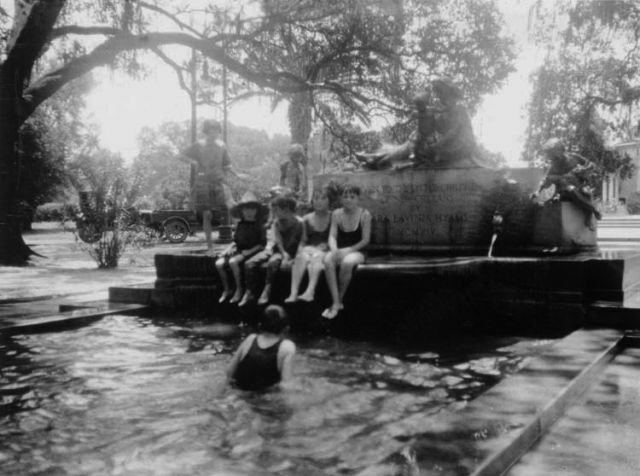 The Sara Lavinia Hyams Fountain was built with a bequest to Audubon Park in 1914, and opened in 1921. The inscription reads: "Given to the Little Children of New Orleans by Sara Lavinia Hyams MCMXIV" (1914). 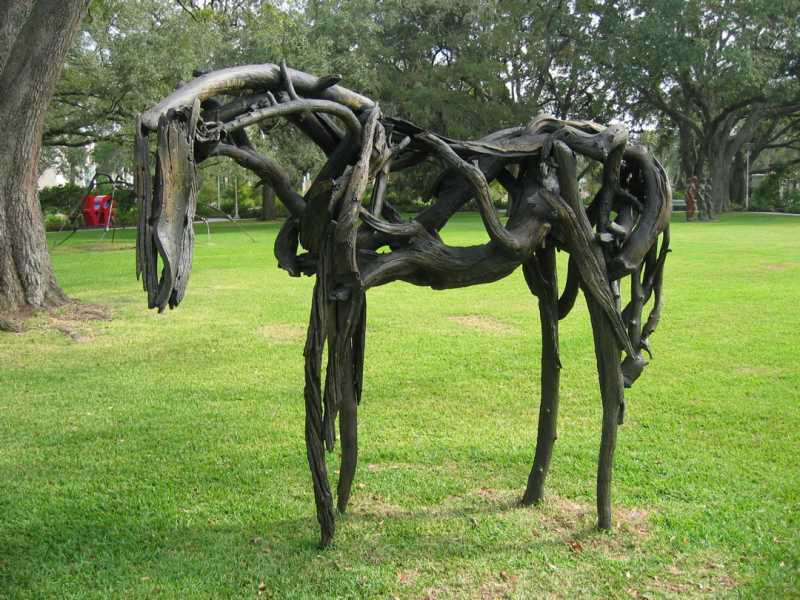 It is on the river side of Magazine Street, just outside the zoo's fence. Measuring about 40 feet by 15 feet, it has an upper bowl from which water was intended to flow over into a lower pool area, which varies from 3 to 12 inches deep. 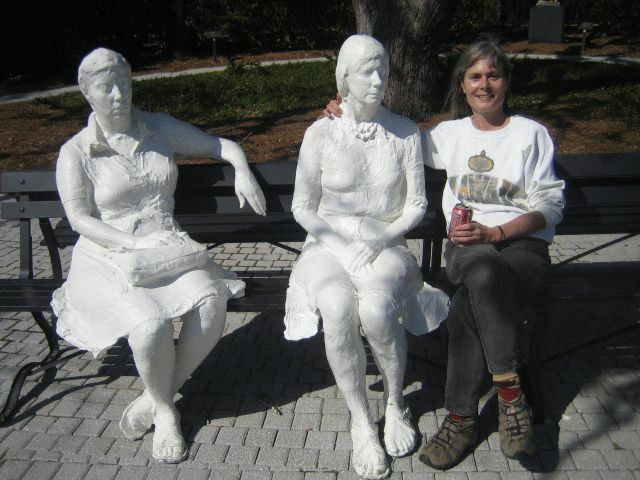 The fountain was used as a children's wading pool for decades but has been dry for many years. 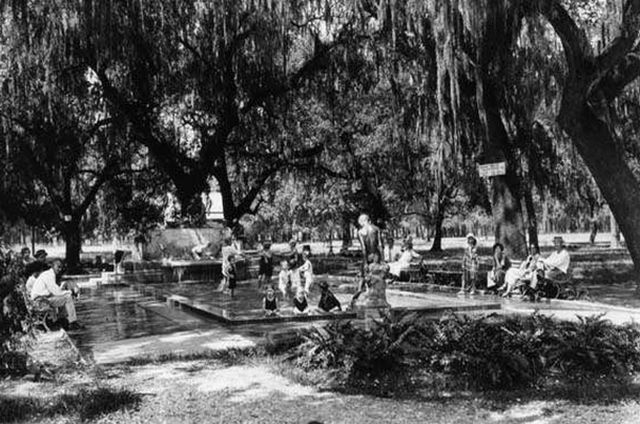 In the past 20 years, Audubon officials twice considered reopening the fountain as a wading pool and, for safety reasons, enclosing it by a fence, either by itself or as part of the zoo. But the commission decided each time to leave the fountain and the surrounding area in their "existing, passive condition," Stastny said.